There may be no liquid more beneficial to your health than green tea. It is loaded with antioxidants, such as flavonoids and catechins which scavenge for free radicals that can damage DNA and contribute to cancer and atherosclerosis. Antioxidants prevent cancer associated cells from attacking healthy cells and can decrease the risk of the disease. It can also helps lower cholesterol, increase concentration and memory. Green tea increases fat burning and boosts metabolism. Previous studies have shown that drinking four cups of green tea a day have helped people lose more than six pounds over the course of two months. Other health benefits of green tea include improved brain function, increased energy, decreased risk of breast, prostate, and colorectal cancer, lowered risk for Alzheimer’s disease and Parkinson’s disease, and improved dental health, as it kills bacteria. This list goes on. Green tea may lower your risk for Type 2 diabetes, may reduce the chances for heart disease and lowers your risk for obesity. 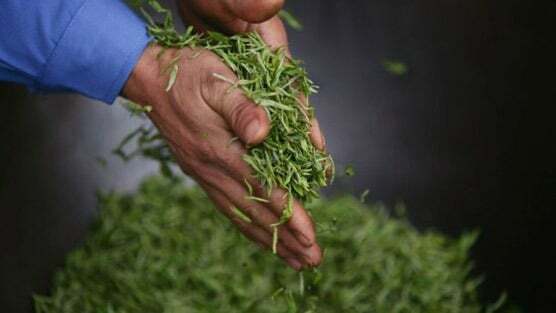 One specific catechin, epigallocatechin-3-gallate (EGCG), is unique to green tea and is abundant as a result of the minimal processing through which green tea goes. Lab studies have shown that EGCG and a few other catechins can be more powerful than vitamins C and E in stopping oxidative damage to cells in addition to potentially having the ability to fight other diseases. Furthermore, it is thought that EGCG plays an important role in inhibiting DNA synthesis and cell replication, both imperative for the survival of cancer cells. Please remember that green tea is not a panacea; there is no substitute for a healthy diet, physical activity and adequate monitoring of health conditions. To reap the most benefits of green tea (as measured by maximum catechin levels), be sure to let it steep for three to five minutes. Aim to drink about three cups of tea a day. Also, keep in mind that freshly brewed tea confers the most benefits; bottled, instant or decaffeinated tea does not contain near the amount of catechins as fresh brewed tea. Green tea has been shown to impair iron absorption, especially from fruit and vegetable sources; however, adding lemon or milk to tea or drinking tea between, rather than with, meals will help counteract this problem. As always, check with your physician before making any changes to your diet.